Cutaway view of Shuguang 1, based on a Chinese drawing. Chinese manned spacecraft. Cancelled 1972. Shuguang-1 (Dawn-1) was China's first manned spacecraft design. The two-man capsule would have been similar to the American Gemini capsule and been launched by the CZ-2 booster. AKA: Dawn-1;Project 714;Shu Guang Yi Hao. Status: Cancelled 1972. Gross mass: 3,000 kg (6,600 lb). Height: 6.10 m (20.00 ft). Development began in 1966; 19 astronauts were selected in 1971; and first manned flight was expected in 1973. However the managers of the astronaut training group were purged in the aftermath of the attempted overthrow of Mao Zedong by Lin Biao. The training group was dissolved in 1972. In August 1965, based on a proposed satellite development plan by Qian Xuesen, the Central Special Committee directed the Chinese Academy of Sciences (CAS) to begin implementation. Zhao Jiuzhang and Qian Ji were charged with conducting requirements analysis for recoverable satellites. Qian Ji's team toured relevant military and civilian units in order to determine applications of recoverable satellites. Beginning in March 1966 the Chinese Academy of Sciences convened the first in a series of conferences to co-ordinate technology for the Chinese space program. Over two months 120 delegates reviewed plans for several series of satellites, including selection of launch sites and necessary orbits and missions. Two separate proposals were made for a manned spacecraft, by the Eighth Research Institute of the Seventh Ministry (the former Shanghai Mechanical and Electrical Design Institute, which had moved to Beijing in April 1961), and the Chinese Academy of Sciences. Qian Xuesen was charged by Chairman Mao to determine which institutes would be charged with developing the rocket, the unmanned satellite, and the manned spacecraft. This followed Mao's "Two Walking Legs" concept, whereby one leg would develop a ballistic missile with assistance from the Soviet Union, and the other leg would be a purely indigenous effort. As far as was publicly known, no decision was made in regard to manned spaceflight at that time. These three were entrusted with defining the requirements for Chinese space medicine research. However they almost immediately ran into conflict over several topics. Disputes broke out over the need for extensive animal flights before any manned flight. The scientific objectives and nature of a unique Chinese contribution to manned spaceflight research were also fought over. In twenty grueling all-day sessions the outline for a Chinese manned space program was hammered out. The final report was only 20 pages long. The Science and Technology Commission for National Defense (STCND) instructed the CAS to conduct a forum on the results of the public meeting from May 11 to 25, 1966. China's satellite plans for the period 1966 to 1975 were presented to the involved military and civilian organizations. Zhao Jiuzhang provided the overview and Qian Ji presented preliminary plans for a retrievable satellite. Jia Shiguang of the Academy of Military Medicine discussed the significance of a manned spacecraft, and Xu Lianchang from the CAS Institute of Psychology introduced a preliminary plan for development of a 'space shuttle'. The Chinese ten-year space plan provided for initial launch of satellites with scientific experiments. However the primary effort would be applied to development of a recoverable reconnaissance satellite. 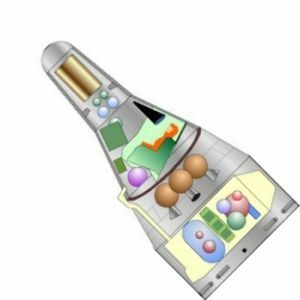 The first Chinese manned spacecraft could be based on the same recovery technology. Only later would a complete system of application satellites follow (for communications, meteorology, nuclear detonation detection, early warning of missile attack, and navigation). In June 1966 a recoverable satellite design group was formed within the Design Institute of Satellite Development (DISD). Wang Xiji was made Chief Designer for the spacecraft. He immediately began co-ordination of development of necessary spacecraft subsystems by various institutes. The first in a new series of sub-orbital dog flights in support of the manned space program was planned for July 1966. It was to be followed two to three months later by a flight with a monkey. However while the equipment for the launch was en route to the launch site the Cultural Revolution began in earnest. Red Guards seized the Academy of Sciences. Key Chinese rocket scientists were denounced and persecuted. Development of satellites ground to a halt. Red Guards killed Zhao Jiuzhang, Director of the Institute of Geophysics, and Yao Tongbin. Qian Ji was accused of espionage. Qian Xuesen was reduced to the status of ordinary worker. Wang Xiji was criticized when a parachute failed to open during deployment experiments for a recoverable spacecraft. Only records proving that the spacecraft was not intentionally destroyed set him free. The extreme secrecy of the projects worked against the participants. Only after several months did Zhou Enlai intervene to put 15 key scientists in critical missile programs under state protection. The others had to fend for themselves as best they could. In July 1967, Luo Shun Chu, Assistant Director of the National Defense and Technology Industry Committee, instructed the two interested institutes to finalize a design for a manned spacecraft. At that time the basic concept - whether the spacecraft would carry one, two, or more astronauts, what the design should be - had not been settled. Despite the incredible disruptions, it was possible to hold a workshop to finalize the design for the recoverable satellite on September 11, 1967. Wang Daheng and Tao Hong were placed in charge of development of the space reconnaissance cameras and film for the satellite. By March 1968 the CAS Institute of Mechanics had completed the detailed analysis and tests necessary for engineering of the recoverable satellite. These included selection of the satellite's orbital trajectory; calculation of landing precision; determination of retrorocket requirements; studies of re-entry aerodynamics; selection of the external shape of the return vehicle; studies of aerodynamic drag and shear stress; and design of the heat shield. The Fourth Academy began development of the retrorocket. In April 1968 the Chinese leadership ordered work to begin again on a manned space program under military supervision. The CAS Institute of Biophysics was merged with the Military Work Physiology Research Institute of the Military Medical Science Academy. Personnel from both were put into uniform and formed into a new Space Medicine Project Research Institute, reporting to the National Defense Science Committee. Facilities for the new institute were available at the Agricultural College in Beijing (under Mao's direction the college staff had been moved to the countryside). Qian Xuesen was appointed Assistant Director to the National Defense Science Committee for the project. Qian had to take on these additional duties while being reinstated as Chairman of the Fifth Academy. By 1969 Qian Xuesen began pushing for final steps leading to a Chinese manned spaceflight. Mao authorized the National Defense Science Committee and Air Force to take the first steps towards final design of the spacecraft and identification of the astronaut candidates. By the beginning of 1970 the CAS Institute of Automation had completed work on the recoverable spacecraft's 3-axis control system. This included technology tests, simulations on analogue and digital computers, and completion of a prototype of the system. The system used sun and earth sensors for orientation and an inertial measurement unit to guide the spacecraft on maneuvers. A cold gas thruster system would orient the spacecraft to the required position for photography or retrofire. On April 24, 1970 China's first satellite was launched. It was a triumph, and on the May Day parade Mao allowed Qian Xuesen to join him on the rostrum overlooking Tiananmen Square. Mao declared that this first satellite would be followed by development of a manned spacecraft. Guo Rumao, Director of the Fourth Air Force Research Institute, was responsible for the biomedical aspects of astronaut selection and training. Guo was an 'old comrade' who had joined the People's Liberation Army in 1938. By 1955 he was the Senior Colonel for Medical Affairs. Guo first reviewed Soviet and US experience in astronaut selection. In 1959 the Soviet Union had selected their first 20 cosmonauts from among 3000 outstanding fighter pilots. The Russian decision to restrict the selection to fighter pilots was only made after looking at other professions and picking this as a shortcut. The US took similar action, except that they restricted the pool even more, reviewing the records of only qualified test pilots. They finally selected seven astronauts from 500 test pilots. Guo decided to consider only active-duty fighter pilots. An air force pilot would have complete medical records due to the constant monitoring of his physical condition. A successful pilot would have a stable mood, strong will, and the ability to make quick decisions (a 56 minute fighter sortie was estimated to require 200 shifts of attention). Good pilots were also accustomed to taking risk and remaining calm in emergency situations. In the Chinese environment of 1970, the primary selection criterion had to be political. The pilot had to have consistently expressed correct revolutionary thoughts and have a politically correct family background. Only after screening personnel files for these factors were physical and mental characteristics considered. Physically the candidates had to meet certain age, height, and weight requirements. Maximum height and weight were somewhat less than US or Soviet standards. This was due both to the smaller average Chinese physique and the restricted space and mass available aboard the planned spacecraft..
School and service records were screened next. The candidate must have had some higher schooling and advanced technical training. His flight record must testify to a diversity of experiences - for example, beyond the number of flight hours, the number of all-weather flight hours was considered important. On October 5, 1970 the selection of Chinese astronaut candidates began. An order was issued to Air Force medical units to co-operate with special pilot records review teams. They screened the astronaut candidates according to political reliability, family background, physical condition, and service record. A total of 1,000 pilots were sent to Beijing for detailed physical examinations in three groups beginning in November 1970. The astronaut selection was conducted in extreme secrecy. The pilots were housed for several months in a detached building of the Air Force Main Hospital. No contact with the outside was allowed. The candidates were not told what the examinations were about, although they soon guessed. They were flown as passengers in trainer aircraft on zero-G trajectories. Their body and brain functions were monitored during the flight. The candidates were eliminated one by one through ten formal screening steps. As their numbers were reduced, care was taken to drive the pilots to the air base in separate vehicles - there were 11,000 fatal traffic accidents per year, and the leadership didn't want to loose the painstakingly selected astronauts in a single accident. The final group of 19 astronauts were considered perfect specimens. Even blemishes on the surface of the skin could lead to disqualification. Psychiatric evaluations were not conducted, since the Cultural Revolution had ended research on the subject. However the 19 astronaut candidates were followed in the thirty years after their selection. All were promoted to higher levels within the Air Force and not one developed cancer by 2001. This seemed to validate the physical and mental selection criteria. Lu Xiangxiao, later commander of the Air Force Third Aviation Squadron, and finally Deputy Chief of Staff for the Seventh Armed Force. On 3 January 1966 Lu, flying a MiG-17, shot down a high-altitude American AQM-34 drone. He was one of several astronauts with combat experience against American aircraft invading Chinese airspace during the Vietnam War. Wang Zhiyue, later Commander of the Air Force Third Division. Wang was born in Shandong, Laizhou. In 1958 he graduated from school, and then entered the Air Force. On March 7, 1968 his MiG-19 shot down a high altitude drone, winning the Merit Citation, First Class. He noted the difficulty of hitting the subsonic high altitude drone using a supersonic fighter. Wang would continue as a fighter pilot from 1959 to 1992, far beyond the normal grounding age of 45. Wang recalled that there was much speculation among the candidates as to why they were called to Beijing at the end of November 1970 and subjected to rigorous physical examinations and interviews. However he suspected the true cause when seeing a documentary film about the Soviet cosmonauts. Dong Xiaohai, later Commander of the 18th Air Force Training Division. On April 3, 1965, Dong had distinguished himself by shooting down an American AQM-34 unpiloted reconnaissance drone over Guangxi. This success was accomplished by changing the intercept geometry from that used before. The intercept distance was reduced from 120 to 70 km, and the altitude of intercept was accordingly increased from 13.5 km to 14.5 km. In attempting to zoom to high altitude to shoot down the drone Dong twice stalled and flamed out. On the third attempt he successfully shot down the enemy aircraft at an altitude of 18.1 km. His squadron downed two more drones and was awarded the title 'Air Force Hero Squadron' on 3 May 1965. Fang Guojun, born in 1934 in Henan, where his father was a teacher at a private school. His large family suffered greatly during the 1942 floods and locust plagues. On September 7, 1948, the People's Liberation Army freed Fang's village, using his father's school as a barracks, and inspired the 14-year-old boy. In 1949 his father died. Fang joined the Army in order to support his family. He worked first as a messenger, but because of his education was soon promoted as scribe to the illiterate company commander. He was preparing to cross the Yalu River for Korea as a volunteer against the Americans when his orders were cancelled. His educational level resulted in his selection as a pilot trainee. After physical and mental screening by Soviet advisory group specialists, he began flight training at Changchun. He began flying in 1953, and continued as an Air Force pilot for 40 years. He encountered many dangerous situations during his long career, including deployment below weather minimums to a flooded airfield in Hangzhou (occasioned by an attempted coup d'�tat when Mao was moved to the western suburbs of Shanghai for security). During confrontations with the Taiwanese air force over Fujian in 1962, Fang faced a dangerous situation when his engine oil line ruptured, leaving his cabin filled with smoke and covered with oil while in combat maneuvering against enemy aircraft. Fang was able to fly the aircraft to base and landed on instruments. Fang came to the attention of the Air Force leadership in large-scale military exercises in 1964. He further distinguished himself by downing an enemy AQM-34 intelligence aircraft by accidentally colliding with it in clouds in 1964. A year later he downed another drone in Fujian, even though he was part of the screening force. For this he was awarded the Merit Citation, First Class, against his protests. In 1968, under Mao's cultural revolution policy of rotating military units constantly, Fang was redeployed to Guangdong. Yu Guilin, born in Hunan, was an example of a candidate not selected. He graduated from junior middle school and sought selection as a pilot in 1956, but was rejected because of low body weight. In 1959 he completed high school. He reapplied, was able to meet the physical requirements, and began flying school in March 1960. After completing training he was retained as a flight instructor from May 1965. He was asked to report to the Beijing Air Force Main Hospital in the first batch of 340 candidates. However he was washed out when his lung ruptured during centrifuge tests. Although this disqualified him from further consideration, he was able to continue his flying career. In April 1971 Mao Zedong ordered the Fifth Directorate and the Air Force to collaborate in establishing a Chinese astronaut training group. The quarreling scientists were ordered to proceed immediately with final design and development of the spacecraft. The same month a military-scientific conference was held to settle the design of the spacecraft at the Jingxi Hostel in Beijing. The extremely secret meeting of 400 experts from 80 institutes was guarded by units of the People's Liberation Army. It was a record cold April, and there was no heating in the hall. Delegates to the meeting sampled with enthusiasm the space food that was being developed for the astronauts - temperature-resistant chocolate, compressed biscuits, chicken soup, and egg fried rice dispensed from tubes. 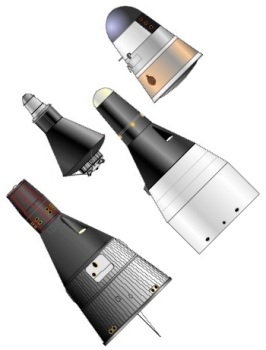 The delegates decided the quickest way to space was to follow the design solutions of the American Gemini spacecraft. The American Apollo, and Soviet Soyuz spacecraft, both designed to take men to the moon, were judged too great a leap forward. As was customary, the program was code-named 'Project 714' according to the year and month of the order to proceed. On May 13, 1971, Air Force Commander Wu Faxian ordered a 500-man astronaut training cadre (astronauts, security guards, support personnel) to be established. The astronauts were to begin training no later than November 1971. First flight aboard the Shuguang-1 (Dawn-1) manned vehicle was planned before the end of 1973. This allowed two years for the astronauts to be trained. Xue Lun, Commander of the 24th Division, was named chief of Unit 714. Xue began service as an air force pilot in 1951, seeing operations against the Americans in Korea. He was later ordered by Vice Minister for Aviation Yu Zhenwu to conduct test flights of aircraft stall and spinning conditions that were contributing to the high accident rate within the Air Force. Revisions to training were incorporated as a result of these tests, which substantially lowered the accident rate. Li Zhengjun, Vice-Division Commander of the 34th Division, was responsible for political work and astronaut family background investigation. Liu Shuzhi, Assistant Director of the 13th Aviation School, was in charge of astronaut aviation training. Guo Rumao, Director, Fourth Air Force Research Institute, was responsible for biomedical aspects of selection and training. As a result of the Cultural Revolution, resources were meager. Unit 714 was assigned only one small motor vehicle, and one telephone. The deep secrecy of the project also proved an obstacle in getting adequate supplies. In June-July 1971 the six-month screening effort was formally completed and the 19 astronauts were ordered to report for temporary duty near Beijing. In August 1971 Xue Lun and Xu Peigen went to Xichang to survey possible sites for a training base. It was necessary to develop a training syllabus from the ground up - and obtain university-level instructors in physics, space science, astronautics, rocket engineering, and English. Getting the astronauts housed and started by November did not seem to be a problem, but getting their training organized and completed within 18 months was going to be a challenge. Plans were made to obtain and convert a Trident business jet for use as a zero-G training aircraft. On September 13, 1971, Mao's heir apparent, Minister of Defense Lin Biao, was killed in the crash of a Trident jet in Mongolia. The real background of the '913 Event' was obscure to this day, but Mao accused Lin Biao and his circle of planning a coup d'�tat. The plot had supposedly been formalized as 'Project 571' six months earlier. '571' was a homonym in Chinese for 'armed uprising'. The response was a witch hunt of Stalinist proportions. Over 1,000 senior officials at or above the rank of army commander were purged from the military. Investigative cadres placed everyone under suspicion. The day after Lin Biao's death, Li Zhengjun and Xu Peigen were at Mount Zijinshan Observatory, Nanjing, to discuss construction of a special astronaut-training machine. Immediately thereafter, Unit 714 came under special scrutiny. '714' was a homonym for 'armed revolt'. The investigators concluded that it must be connected to the plotters in some way. Even though equipped with only one telephone, the security special case team decided that Unit 714 was the headquarters for the alleged coup d'�tat. In retrospect it was obvious that the office could not have been connected with the alleged plot, since Mao Zedong and Zhou Enlai had signed the order to establish the office, but not Lin Biao. Such considerations did not deter the investigators and the leaders of the unit were detained for sustained interrogation. Nevertheless the project was not cancelled and those that remained continued their work. The astronauts reported for training by November 1971. The immediate problem was that the budget was not in hand to fulfill the training plans. Major General Yang Guoyu and State Planning Committee Director Yu Qiuli were in charge of the material supply for the project. The spacecraft mock-up, housed in a large hall, was built of wood and cardboard. Astronaut food in toothpaste tubes was being produced, while the astronauts were supposed to undergo their strenuous training regime living only on steamed bread. Qian Xuesen himself was unwilling to bring up the issue of provision of necessary funds with Zhou Enlai. Finally Yu Qiuli attended a meeting where Mao himself was presented with the need for additional funds. Mao reacted by blaming the project staff for inadequate moral resolve and declared that the nation must take care of terrestrial needs first. Space could come later. Faced with no budget, and pilots that had not been able to fly for months, the astronauts were released to return to their units. On May 13, 1972, the final staff member of Office 714 returned to his unit and China's first manned space project was officially wound up. Although there were no active astronauts in training, preparatory work continued. The space medicine institute continued to conduct basic research. It eventually grew to sixty specialized technical personnel and conducted work in space medicine, development of space suits, food, and personal equipment. China launched its first recoverable satellite on November 26, 1975, four years behind the original schedule. Immediately after launch it appeared that the satellite would be lost due to a loss of pressure of the gas orientation system. Qian Xuesen believed the chance of a successful recovery was nil. However Yang Jiachi calculated that the pressure loss was simply due to heating of the spacecraft during ascent followed by the cooling in space. He believed a full-duration mission was possible. Nevertheless the decision was taken to bring down the spacecraft early, after three days of flight. Observers were deployed to the tops of 3400 m mountains to observe the descent of the capsule in Sichuan. The recovery force awaited orders. However the satellite was not seen. After some study the scientists determined that it probably landed on Chinese soil, in Guizhou. Unknown to the scientists, curious events were unfolding at a coal mine in KaiLai, Guizhou. At noon on November 29 all of the miners were in the mess hall except four. They were not in a hurry, and were talking near the well outside of the hall. Suddenly a red-hot ball fell down from the sky and split a big tree not far away. With great apprehension they approached the cooling, blackened hulk. Finally one threw a stone at the object, which bounced off with a metallic ding. Glad to find the thing to be of human artifice, the miners reported the matter to the authorities. The recovery force eventually arrived and found the interior of the spacecraft intact - usable film was recovered. Two more FSW spacecraft were flown in December 1976 and January 1978. The first public announcement of a Chinese manned program came in February, 1978. In November the head of the Chinese Space Agency, Jen Hsinmin, confirmed that China was working on a manned space capsule and a 'Skylab' space station. In January 1980 the Chinese press reported a visit with Chinese 'astronaut trainees' at the space medicine institute. Photographs appeared of the astronauts in training with their 'space food'. Pressure suited astronauts were shown in pressure chamber tests. Other trainees were shown at the controls of a space shuttle-like spaceplane cockpit. In retrospect all of this seems to have been a disinformation campaign or a propaganda building on continuing research on biomedical aspects of spaceflight. Recent Chinese histories show no record of any significant Chinese manned spacecraft effort between 1972 and 1986. A fleet of ships for recovery of re-entry vehicles at sea was built, and this resulted in another red herring offered to Western intelligence agencies. In May, 1980, a re-entry vehicle was recovered from the South Pacific after a 10,000 km suborbital launch. Many believed at the time that this was related to a manned space program, but in retrospect it was a test of an ICBM warhead. In December 1980, Wang Zhuanshan, the Secretary General of the New China Space Research Society and Chief Engineer of the Space Centre of the Chinese Academy of Sciences, announced that Chinese manned flight was being postponed because of its cost. Fundamental economic development was given priority. The substance of the "Chinese Manned Space Program" of 1980 remained a mystery. Was it a propaganda ploy, or was it a brief but currently undocumented effort to revive the Shuguang project? The space medicine institute was declassified soon thereafter. Western access to the facility began with a visit by Gordon Fullerton of the STS-3 crew on December 7, 1982. Eventually foreign scientists from America, Germany, Russia, England, Japan, Sweden, Canada, Portugal and Pakistan visited. Secret studies for manned spacecraft were resumed in 1986 under Project 863. But it was not until 1992 that the Chinese leadership felt ready to fund a new manned spacecraft - Project 921. First manned flight of the Shenzhou spacecraft finally took place in 2003, thirty years after the Project 714 capsule would have made its first flight. 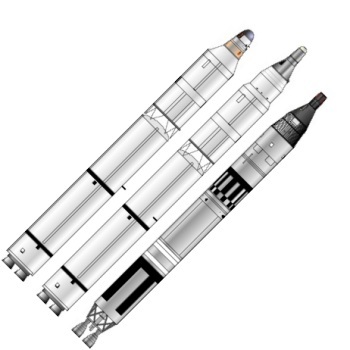 The spacecraft followed the design of Gemini, but was slightly smaller and lighter to allow it to be launched within the maximum 3200 kg payload of the CZ-2 booster. It consisted of two modules. 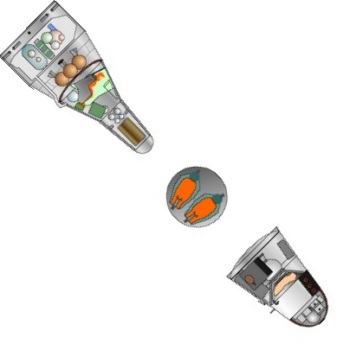 The re-entry capsule contained the pressurized crew compartment, two crew accommodated in ejection seats, instruments and navigation equipment, radio equipment, guidance and control systems, a waste handling system, food, water and the parachute of the recovery system. The equipment module housed a forward section with four retrorockets (as in Gemini, this was structurally part of the equipment module, but would have been severed from the rest by a shaped charge prior to retrofire). The aft section housed the orientation engines, propellant tanks, the battery-based electrical power system, batteries, and communications antennae. An umbilical led from the aft equipment compartment to the re-entry capsule. The spacecraft evidently had no capability of maneuvering in orbit, and may have had no ability to conduct a gliding re-entry to reduce G-forces. The spacecraft either represented a very challenging development project (CZ-2A payload capability to low earth orbit was no more than 2200 kg, and the Gemini re-entry capsule alone weighed 2,000 kg) or an upgrade of the CZ-2 booster was planned to place it in orbit (the later CZ-2C version could orbit as much as 3200 kg into a 28 degree inclination orbit if launched from Xichang instead of Jiuquan). The ride would be rough, worse than that of any other first generation manned spacecraft - the FSW environment was 6 to 11 G's and 150 dB during launch, 8 G's on re-entry, and a landing speed of 4 to 14 m/s. In the absence of a soft-landing system, recovery at sea may have been necessary. Alternatively, the astronauts would have to use their ejection seats in order to bail out of the capsule before landing (as in the Soviet Vostok spacecraft). No dimensions for the spacecraft have been given, but assuming the re-entry vehicle had the same base diameter as the Gemini (it was hard to believe any two-crew manned spacecraft could be much smaller), it would have had a maximum diameter of 2.8 m and been 6.1 m long (compared to 3.05 m x 5.67 m for Gemini). Launch mass would have been between 2200 and 3000 kg (compared to 3600 to 3800 kg for Gemini). The FSW-0 was equipped with equipment that could have been common with that planned for Shuguang-1. The FSW-0 had redundant flight control computers, an inertial measurement unit, and sun and earth sensors. Power came from 1300 Amp-hr / 27 V silver-zinc batteries. Flight duration was five days. Many, many thanks to Chen Lan for providing original Chinese-language source material for this project, and to WXJ for the translation. Crew Size: 2. Spacecraft delta v: 100 m/s (320 ft/sec). Family: Chinese Manned Spacecraft, Manned spacecraft. Country: China. Launch Vehicles: Chang Zheng 2. Propellants: Solid. Agency: PLAAF. Bibliography: 1791, 367, 541, 542, 543.